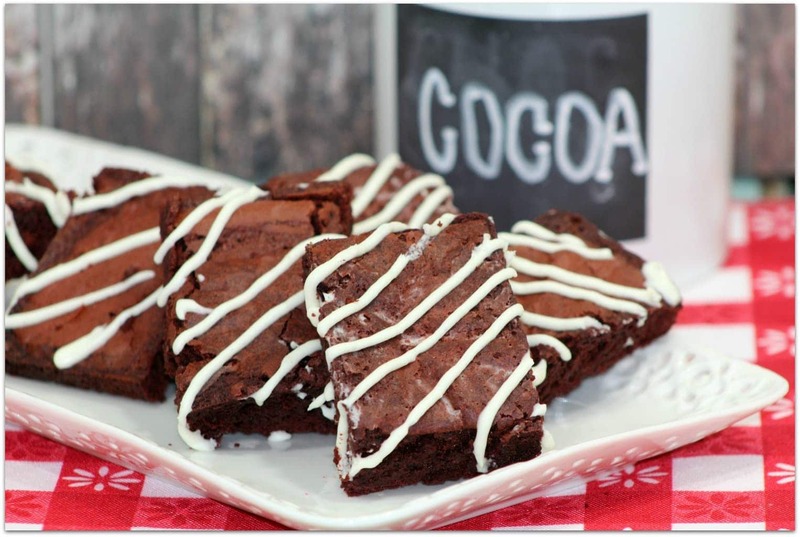 These Red Velvet Brownies are so easy to make and the flavor will knock your socks off! Chocolate and cream cheese go so well together, and you’ll be out of the kitchen in no time! This is the perfect easy recipe for any occasion! Preheat oven to 350 degrees. Spray an 6 inch baking dish with cooking spray. Set aside. Melt butter either in a microwave or in a double boiler. Add an egg after waiting a minute so you don’t scramble it. After the egg, brown sugar, and vanilla, whisking until smooth. Whisk in the cocoa until smooth. Pour in the red food coloring, whisking to incorporate. Keep adding the food coloring until the desired red color is obtained. Blend in the flour; don’t over stir. Spoon the batter into pan, smooth the top with a spatula. Bake at 350 degrees for 28 to 30 minutes, or until a toothpick inserted in the center comes out clean. Cool brownies in a pan for 30 minutes before slicing. Brownies will keep for up to 1 week. Combine the ingredients, mixing until smooth. If the icing is too thick add 1 TBSP of milk at a time until the desired consistency is reached. If the icing is too thin, add more powdered sugar, stir to mix. Spoon into a plastic bottle then drizzle on the red velvet brownies. Looking for more chocolate deliciousness! 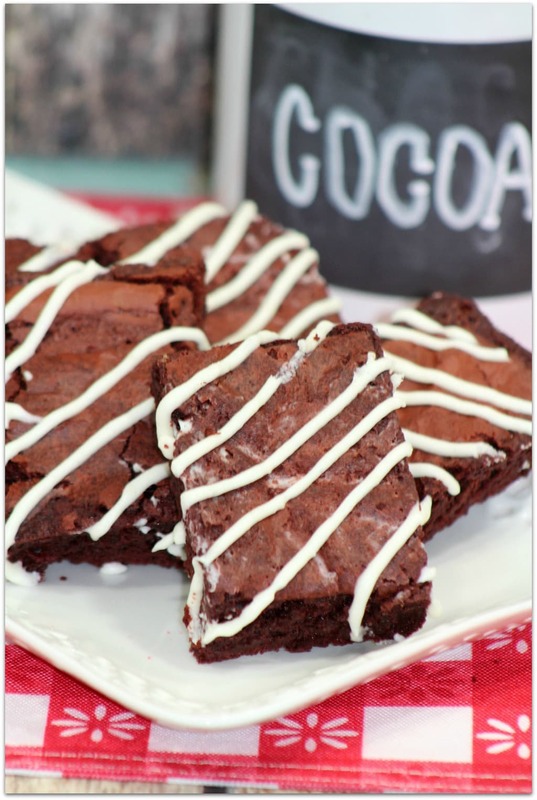 Here’s a round up of 30 Chocolate Valentine’s Day Desserts! If you’re looking for Tailgate recipes for the Superbowl, here’s a round up of 21 delicious Tailgate recipes! 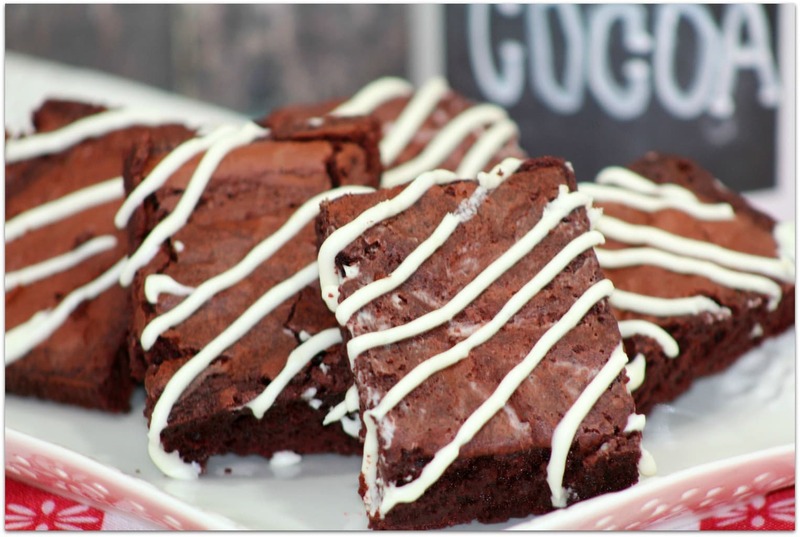 OMG these brownies look amazing! I don’t think I’ve ever met a brownie I didn’t like. Pinning so I don’t forget! These are beautiful! I just made red velvet cheesecake brownies so I most of the ingredients – cream cheese frosting is my absolute favourite!